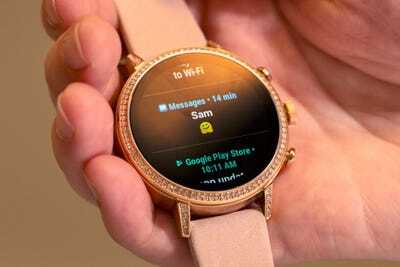 The new version of Google’s smartwatch operating system, Wear OS, isn’t exactly revolutionary. It’s not a major change, design-wise, to last year’s version, and it doesn’t really have any futuristic new features. Instead, Google made small changes that seem to have a singular focus: to make your life easier. The new Wear OS – which doesn’t have a new name, or even a new number; it’s simply the “next evolution” – began rolling out to smartwatches at the end of September. Google still relies on third-party watchmakers to utilise its software, and doesn’t offer its own smartwatch. To that end, I’ve been testing the new Wear OS on one of Google’s partner watches, a Fossil Q Venture HR, over the last few weeks. If you’ve ever used Wear OS before, you’ll notice a lot of similarities to previous versions of the operating system. While some key features have changed, a lot has stayed the same in the new Wear OS. If you’ve ever used a Wear OS watch before – which used to be called Android Wear until earlier this year – you’re used to a few basic features: a round watch face; apps arranged in a rounded, scrollable list view; and the ability to swipe up and down to get where you need to go. With the new OS, those things haven’t changed, which is a good thing – you won’t need to relearn every feature and gesture you’ve become accustomed to. Another thing that hasn’t changed: the inability to quick reply to text messages on the watch if you’re an iPhone user. To be clear, this is not a failing on Google’s part – Apple’s iOS software is closed source, which means outside companies can’t tap into it. 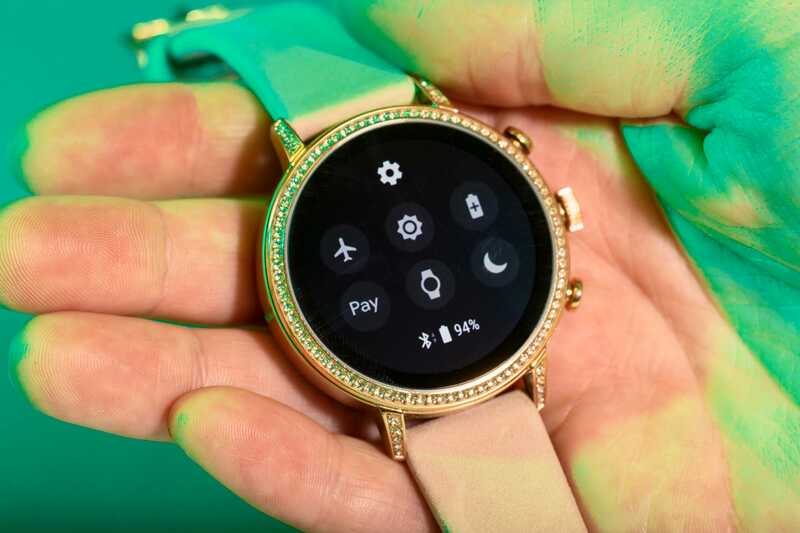 It’s unlikely this will ever change, which means it’s unlikely iOS users will ever be able to reap the full benefits of a Wear OS smartwatch. Now is probably a good time to mention that the battery life I experienced was just OK. The watch lasted a full day, but rarely more than that. There are a few key features that have changed for the better, though — let’s start with the new shortcuts menu. Now, when you swipe down from the top of the watch, you’ll see a new and improved shortcut display. This is a prime example of Google making a minor change with the intention of making the watch quicker and easier to use. The redesign brings a few features to this screen that were previously buried inside the app list. You can now access Google Pay from this screen, which lets you pay for things using only your watch. You’ll also be able to tap a button on this screen to locate your phone if you lose it. For me, these weren’t life-altering changes, but they certainly did come in handy – anything that saves you a few taps and swipes is a win in my book. Another minor-yet-effective change: notifications look better and are easier to read now. 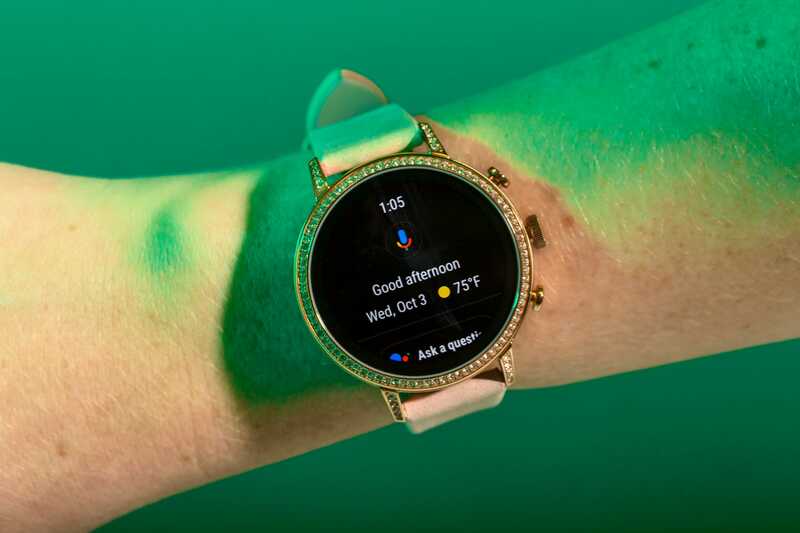 Google redesigned the notification set-up in the new Wear OS, and it’s another subtle improvement that I really appreciate. Now, notifications are larger, and you can interact with them without leaving the notification stream. Here’s what I mean: when you swipe up from the bottom, you’ll see all your notifications sectioned off by app. If you have an Android phone, you’ll be able to send a quick reply to a text without leaving the notifications screen. And if you just want all of them gone, there’s the option to “clear all” down at the bottom. Again, this is an extremely minor change – and one that some users may not even notice – but it was made with usability in mind. There’s one excellent improvement to the gestures. One of my favourite tweaks to the interface is the fact that Google changed what happens when you swipe left or right on the screen. Before, swiping to either side would bring up the option to change your watch face. For me, it was the most annoying thing about Wear OS. I know there are people out there who like to constantly change their smartwatch face, but I’m not one of them. Once I find a face I like, I stick with it for months on end. Don’t worry though – it’s still easy to quickly change your watch face. You can access the face switcher by long pressing on the center of the screen. Let’s talk about the two new features added to Wear OS, starting with Google Assistant. A side effect of changing the gestures is that Google was able to incorporate new and improved screens to the left and right. So if you swipe toward the right on the new Wear OS, you’ll now see a new Google Assistant screen. If you’ve ever used a Google Pixel phone, you know that swiping toward the right brings up a Google screen. It incorporates Google Assistant and Google Search, and it’s personalised to you. It’s actually one of my favourite Pixel features. All of that is pretty similar to the new Assistant screen in Wear OS. While there’s the option to actually talk to Google Assistant using the built-in mic, you don’t even need to – this screen houses a lot of the things you’ll want to see: the date, the option to see the top news stories (this feature is cool, since it shows everything visually, photos included), any reminders or calendar events you have, a few suggestions of how to utilise the Assistant, and even an inspirational quote. This is an incredibly useful feature, and anyone who already likes and uses the Pixel will appreciate it. 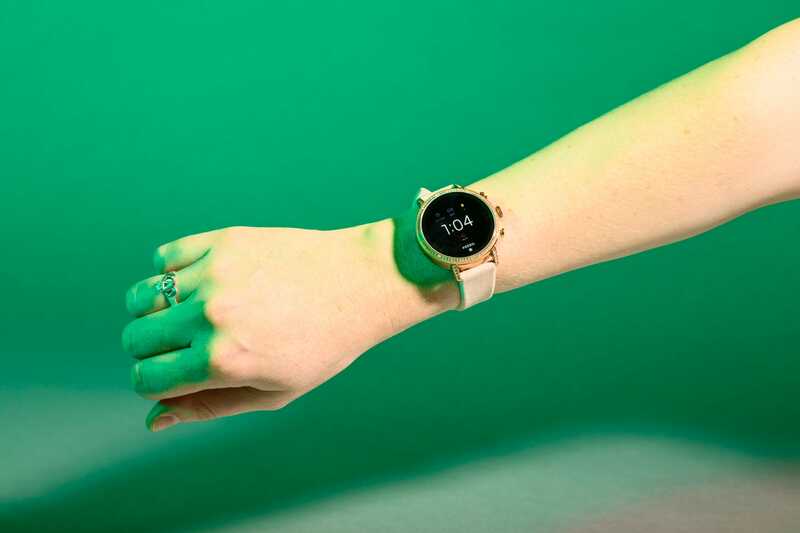 The other standout feature is the redesigned Google Fit. 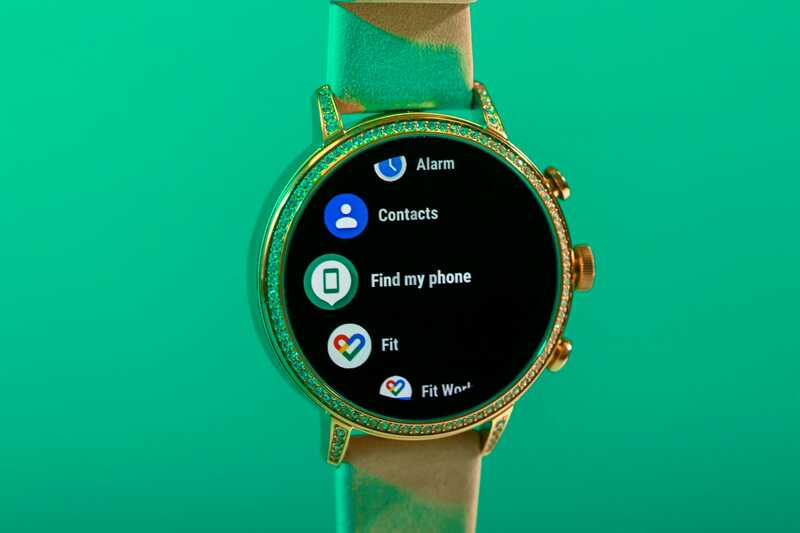 Arguably the biggest change to Wear OS is the fitness aspect, thanks to the redesigned Google Fit app. Google worked with the American Heart Association to come up with a new way to track fitness. Rather than being measured primarily by steps, the watch can now track you based on two new metrics: move minutes and heart points. The new goals are an improvement, since they distill fitness down to two factors that are easily measured: how much you’re moving during the day (as opposed to just sitting still), and how often and for how long you elevate your heart rate. As someone who is not … incredibly active, I appreciate this change. I workout occasionally, and I move a lot during the day – after all, anyone who lives in New York City has built-in walking time every day, whether they want it or not. But I’m not someone who has a super regimented workout routine, and other fitness trackers never seemed to allot for that. In most cases, I feel like I’m letting the device down because I didn’t work out six days in a row. The new goals are intended to encourage you to get moving in any way you can, and that feels like a more inclusive change. Not everyone is willing or physically able to fit in an hour at the gym each day, but tracking “move minutes” and “heart points” gives you credit for all the small ways you fit in exercise. And not for nothing, but the new goals are also visualized in a cool, modern-looking, easy-to-read way on the watch, which actually helped motivate me. As for Fossil’s Q Venture HR watch, I have a few issues. This isn’t intended to be a review of the watch – my primary focus was on the software, not the hardware. That being said, those two facets are so inexplicably intertwined that it’s hard to separate them. Bad hardware can discourage you from wearing an otherwise great smartwatch, and vice versa. The most important thing to know about the Q Venture is that it’s pleasingly slim, and looks great on the wrist. 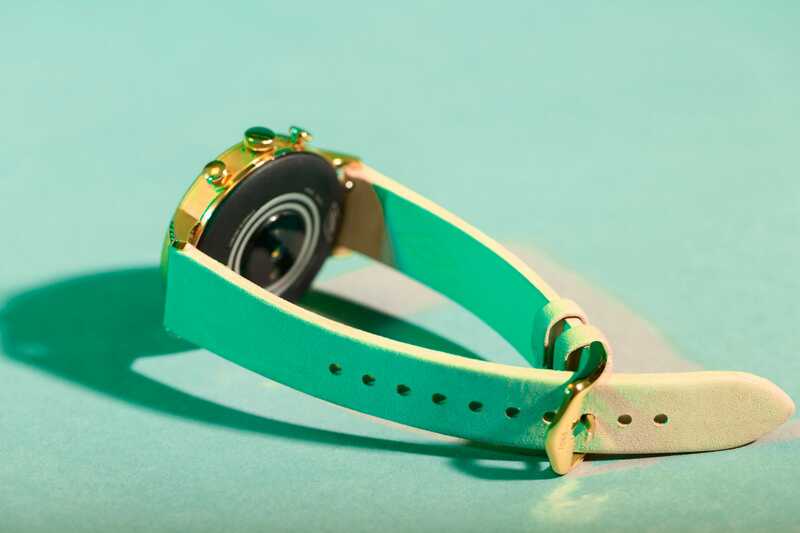 So many smartwatches are hampered by their heft and thickness, and this wasn’t one of them – it’s about the thickness of a standard analogue watch. 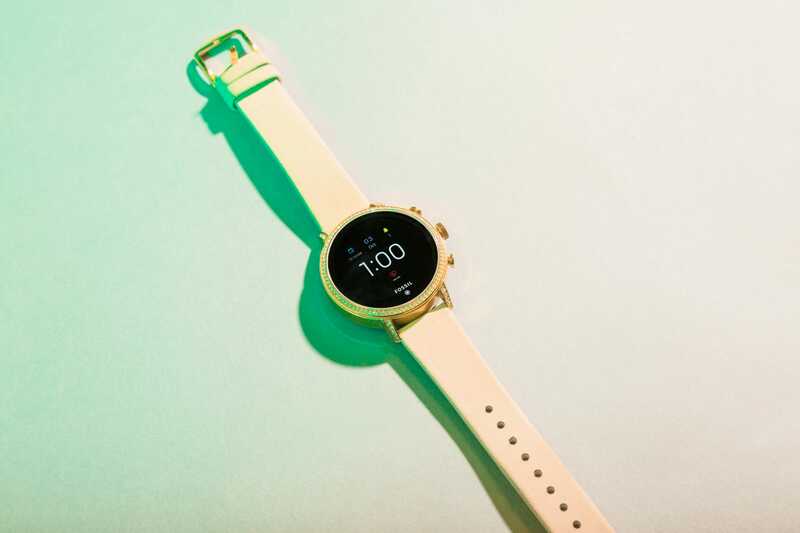 Another excellent aspect of the watch is that it has built-in GPS and a heart-rate tracker, and it’s swimproof, all of which should be standard at this point on any smartwatch that’s intended to track fitness. But there were a few things I didn’t love about the watch. For one, the styling of the device I used wasn’t exactly my taste. That’s not Fossil’s fault, per se, but I do have to say that they really overdid it with the rhinestones. Another issue: the unit I tried had a pale pink leather strap with a suede finish, and it looked dirty within two or three days of wear. I didn’t do any wild outdoor activities, and I didn’t do a high-intensity workout, but the band already has a grayish tint along the edges that touch my skin. This watch is expensive – $US255! – and a band that dirties immediately feels like a major downside. Still, it’s hard to find any major flaws with the new Wear OS. Minor hardware issues aside, I can’t think of a bad thing to say about the new Wear OS – except one. A Wear OS smartwatch is never going to be the perfect companion watch for someone with an iPhone. It will forever do about 85% of the things you need it to, with the other 15% being forever out of your grasp. I know this because I’m an iPhone user, and over the past few years, I tested dozens of Wear OS watches before I finally tried an Apple Watch – when I did, I realised all the features I had been missing the whole time. That’s not Google’s fault by any means, but it is something to consider. 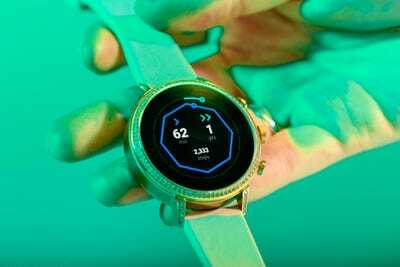 If you just want a smartwatch for the fitness features, or the ability to access Google Assistant at any time, you’ll be fine no matter what smartphone you have. But if you’re hoping for the full gamut of smartwatch capabilities, including the ability to answer texts, you won’t get that by mixing platforms. So, buy a new Wear OS watch if you have the Pixel or another Android phone. You will be pleased by how intuitive it is, and how easy it is to use; it will serve your needs beautifully. But if you have an iPhone, you’ll need to think carefully about what you’re really looking for from a smartwatch.